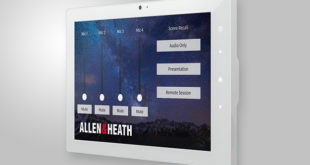 Allen & Heath has strengthened its flagship dLive digital mixing system with the launch of the IP6 and IP8 fully-configurable and networkable remote controllers, along with the Waves V3 and gigaACE audio networking cards. 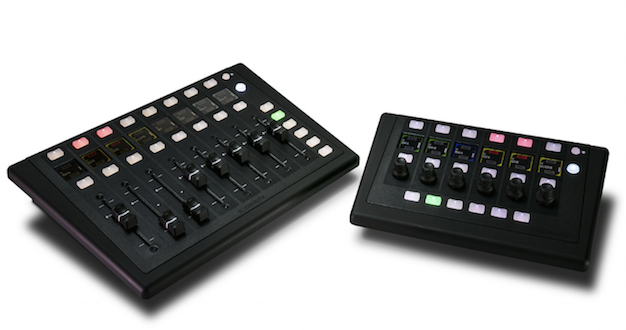 The IP6 and IP8 (main picture) are the next generation remote controllers for dLive, designed to widen the system’s flexibility in installation and live sound applications. They interface with dLive via standard TCP/IP connections and can be networked with other controllers, computers and third party devices using a standard Ethernet infrastructure. The IP6 features six push ‘n’ turn rotary encoders and colour LCD displays, 19 programmable soft keys, and mic stand mounting options. 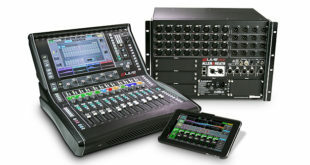 The IP8 comes with eight motorised faders and colour LCD displays, as well as 23 programmable soft keys. 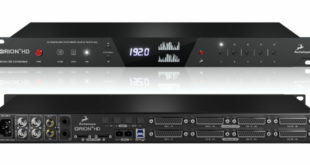 Both can be configured with up to six layers for access to a large number of channels. They support PoE and PoE+ respectively, providing installers and users with a single CAT5 for control and power. The Waves V3 audio networking card takes full advantage of the dLive I/O Port architecture, delivering a 128×128-channel, 48/96kHz interface to the Waves SoundGrid platform. Alongside plug-in processing and audio distribution, it offers a convenient way of recording 128 tracks of 96kHz audio to a Windows or Mac computer, over a single CAT cable. 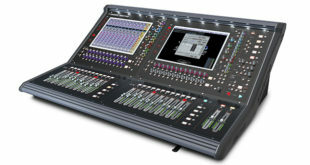 The gigaACE card provides a 128×128 channel 96kHz point-to-point redundant link to another dLive mixing system. With no PC required, it is ‘a truly plug ‘n play solution for digital split applications, that is also cost-effective and has ultra-low latency,’ according to the manufacturer.